Something that is essential in all people is the need to protect the things you love. Doing whatever it takes to keep your belongings safe. Either by fighting or sacrificing, as long as what truly matters to you is unharmed, the rest doesn't matter. It might be family, friends, or your dearest of objects; it's not so much what it is but the act of protecting it that matters. But there are those times when, despite how hard one tries, such protection just isn't possible. Such is the idea that Tokyo Ghoul Root A works with. But without being kept safe itself, it merely implodes. The manga is amazing, the characters are too well written (it could be an actual novel tbh), and the concept is really well played out for something so out there. The fact that so many people nearly killed the author because he ended the series so suddenly is really just proof of how strong the story and characters are. 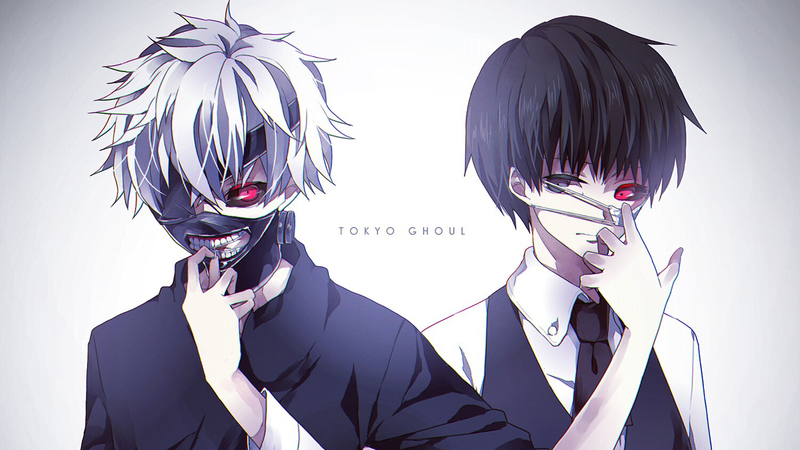 After the original manga series received an enormous support around the globe, a 12-episode anime television series adaptation under the same name Tokyo Ghoul, produced by Pierrot Studio, was broadcast on the Tokyo MX channel between July 3rd and September 18th, 2014. It also aired on TVA, TVQ, TVO, AT-X and Dlife. 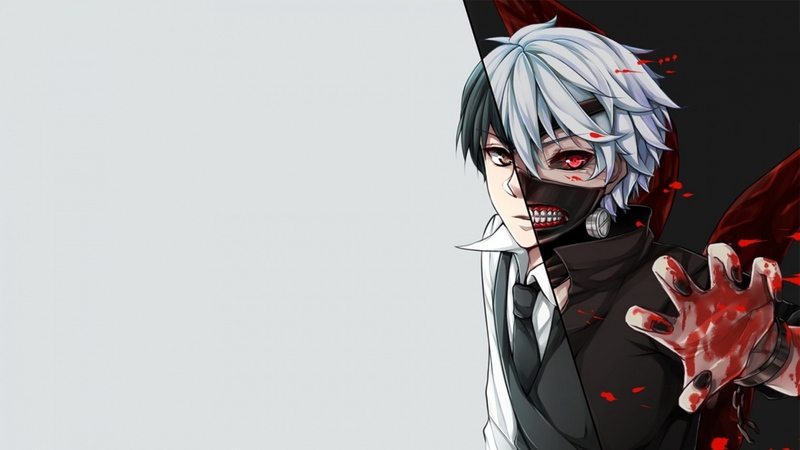 Season 2 of Tokyo Ghoul, entitled Tokyo Ghoul √A (root A) will premiere in Japan on January 8, 2015. 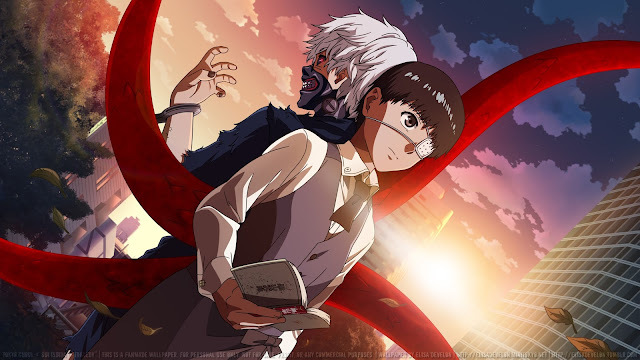 The Funimation Company has licensed the anime series Tokyo Ghoul for streaming and home video distribution in North America. Indeed, Tokyo Ghoul has become very popular around the world. I really liked this anime, so I'm very sad to see it ending, but all good things must come to an end. Having read the manga, and also seeing everything of the anime myself, I truly feel like this anime is complete. It had one of the best anime endings I've ever witnessed, and although not showing it to you explicitly, implies how each character ended up. Hide and Kaneki are most likely dead. And the fact that they died together, two best friends who did their best as victims of circumstance, one being Ghoul, the other being human, is a beautiful tragedy. It almost reminds me of Romeo and Juliet. I wish this was how the manga ended, to be honest. That's what I think, anyway. And also, I would like to be reassured that the anime is as a matter of fact gone forever now, but there are rumors that there will be another season sometime in the summer of 2016 from some reddit Otaku peeps.